After a longish dry spell on the reading front, last weekend I read two books I really enjoyed. It’s so fun to have something to recommend!!! (It’s hard to have jazz hands and hold books at the same time, but picture it, because that’s me right now). 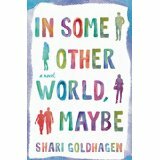 The second is a novel: In Some Other World, Maybe, by Shari Goldhagen. 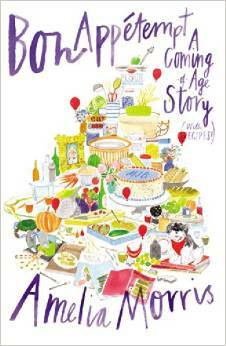 I started loving this book as soon as I stopped looking for a narrative arc. There isn’t one, and the chapters read like accumulating episodes from a 1990s-era sitcom…imagine FRIENDS, but as a drama. It’s surprisingly effective. The characters are interesting and memorable, and the story kept me turning pages. To be honest, I wasn’t clear WHY we were following them through this segment of their lives, but I followed, nonetheless. Good entertainment. Disclosure: I received copies of these books from their publishers in exchange for an honest review. This entry was posted in Books on January 21, 2015 by Trish Ryan.